Moacyr Franco could do no wrong in 1963. His TV show on TV Excelsior was top-rating. Moacyr Franco - 1963's biggest act. 1963 was a ‘transitional’ year because we have some old elements like bolero & guaranias acts sharing the limelight with completely new talent like samba and bossa-nova’s Jorge Ben or Orlann Divo. Brazilian instrumental rock bands like The Jet Blacks, The Jordan and The Clevers are new blood in the musical scene. The ‘modern’ Italian pop music shows up its first hits and would dominate the charts in the next few year. Unfortunately I don’t have the total list of those awarded with 1963’s Chico Violas because for some strange error, TV Record’s PR department released only a partial list of 12 acts and 14 songs to the media at the time so my research has com up against a wall of utter misinformation. I wouldn’t know how to get hold of the ‘real list’ due to Brazil's total lack of recording habits. Apart from newspapers and magazines that were published at the time, there are no other way of getting to know the facts. Following previous years tendency I decided to add 16 songs to ‘make up for’ the missing original list. I beg your pardon for that liberty but I must continue with this project somehow. In case I will get the ‘real list’ it will be my pleasure to post it here. Even though we were in a ‘transitional period’ boleros, guaranias and samba-canções still ruled the roost. 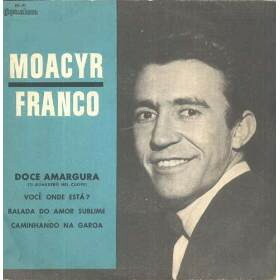 1963’s biggest act was Moacyr Franco, no doubt. 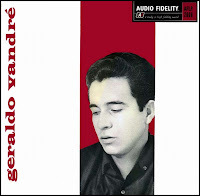 He who started with 1960’s Carnival-march ‘Me da um dinheiro aí’ graduated into a full-romantic singer. Due to Moacyr’s weekly exposure on his TV show he could sing songs that became hits automatically. ‘Doce amargura’ [Bitter sweetness] is a cover of ‘Ti guarderò nel cuore’ main-theme of 'Mondo cane' an Italian shock-movie that became a hit in the US [as ‘More’] and in many parts of the world. The orchestral arrangement for Moacyr’s cover is intricate and exuberant with changing paces leading to a big finale. It became his signature-tune going to up to number one. 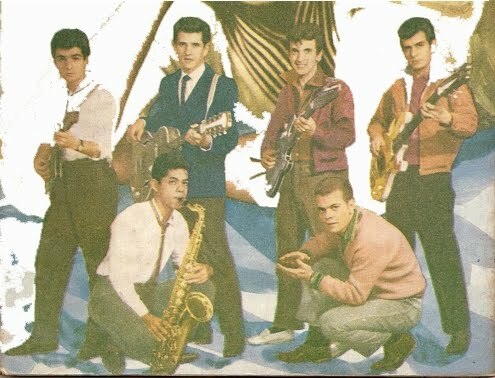 Moacyr’s second hit for 1963 was ‘Que será de ti?’ a beautiful Paraguayan guarania, probably the last of the Mohicans, as the times were really changing fast. 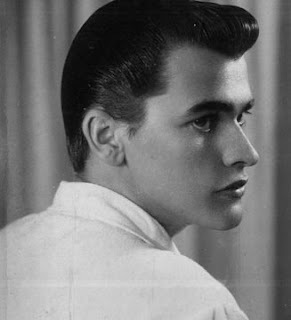 ‘Sonhar contigo’ [To dream with you] with Adilson Ramos, a young powerful tenor from Rio was the biggest bolero of 1963. On the same vein, ‘Esta noite eu queria que o mundo acabasse’ [I wish the end of the world tonight] by Silvinho, a Rio tenor too, was controversial because the Catholic Church threatened with excomunication those who dared buy such a ‘devilish’ record. The title was pretty ‘shocking’ and the lyrics went on as: ‘Tonight I wish the world would end and the Lord would send me to hell to pay for all my sins. I caused a lot of suffering for someone who only cared for me. I made you, my dear, unhappy that’s why I want to die tonight!’ The irony of it all is that Silvinho is being penitent and only corroboring Catholic dogmas. Maybe the Church’s hierarchy didn’t like someone out of their own clergy ‘preaching’ to the masses... especially in 78 rotation per minute. Silvinho had a high-pitched voice and recorded a few more hits. 1963 ushered in a lot of new acts who would dominate the charts for decades. Let’s start with the future so-called Young Guard [Jovem Guarda] made up of very young people who either sang in vocal groups [Trio Esperança] or played in instrumental rock groups [The Jet Blacks, The Clevers, The Jordans] who emulated US’s The Ventures and Britain’s The Shadows. In the bossa-nova or new-samba [sambanço] categories there were Jorge Ben, who would become internationally famous and Orlan Divo, who still has an international following up to date. Trio Esperança was made up of Mario, a teen-age boy, Regina and Eva, their pre-teen sister who would go on a solo career later in the 70s. They came from a very musical black family from Rio de Janeiro that had spawned The Golden Boys, a five-member vocal group that performed mainly rock’n’roll. Trio Esperança’s biggest hit was ‘Filme triste’ a translation of ‘Sad movies’, made popular in the USA by Sue Thompson. Then the trio hit again with ‘Olhando para o céu’ [Ui O Muite Aruko] a Japanese romantic song that went to number one in the US, titled erroneously as ‘Sukiaki’. The Jordans in early 1963. 1963 was big in instrumental-rock. The Jet Blacks, a five-member instrumental rock band from São Paulo were the first to come out with ‘Apache’ which had been a hit in the US by Jorgen Ingmann and His Guitar in 1961. Then came the incredible Clevers, who were 5 talented young men from São Paulo too, whose saxophonist was virtuoso Manito, who was a multi-instrumentalist and had played in a band with his father and brothers since he was a young boy. Manito had migrated from Spain with his family in the early 50s. 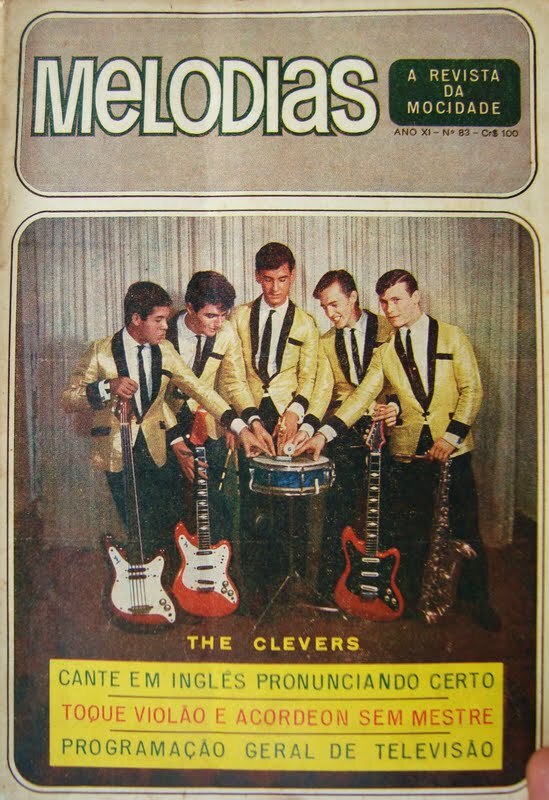 The Clevers first hit was ‘El Relicario’ an old Spanish tune re-modeled as a twist. 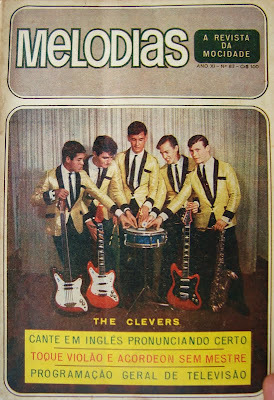 The Clevers were really smart guys who not only played instruments but also had a little zany that amused their audience. ‘Maria Cristina’ was their second hit in the year. Finally, at the very end of 1963 there came The Jordans, a guitar outfit too who hit with beautiful ‘Blue star’. Chantecler's Jet Blacks, Continental's Clevers and Copacabana's Jordans were the inspirations for hundreds of new guitar-bands all around the country. They were the new Brazilian rock'n'roll. The Clevers showing off their Chico Viola Award they got for 'El relicario' and 'Maria Cristina'. From left to right: Neno [bass], Mingo [rhythm guitar], Netinho [drums], Risonho [lead guitar] & Manito [saxophone]. 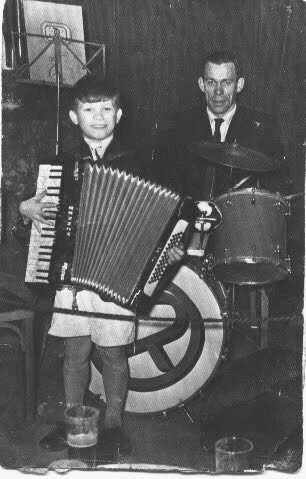 Antonio Rosas Sanches, AKA Manito, the Clevers' virtuoso saxophone player as a child with his father at the drums. What a quirk Brazilian record market! 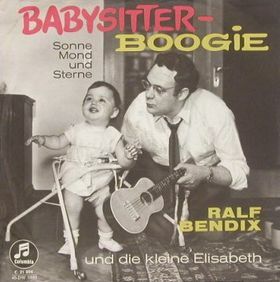 German-language 'Baby-sitter boogie' with Ralf Bendix also hit. Tony Campello was still in his early 20s but already represented 'old rock'n'roll'. Celly’s brother had his biggest hit ever with ‘Boogie do bebê’ [Baby's boogie] adapted from US's Buzz Clifford's 'Babysitting boogie'. It seemed like Tony was waiting for his sister to retire to show he could do it on his own. The funny thing about this song is that it was a hit for Germany’s Ralf Bendix too. Don’t ask me why! Suzanne Pleshette & Troy Donahue in hugely successful 'Rome Adventure'. 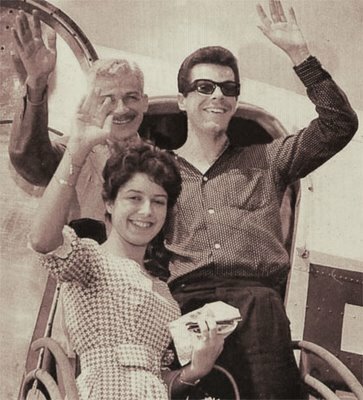 Italian music that had been all but forgotten since 1959’s ‘Ciao ciao bambina’ had a ressurgence with ‘Al di là’ [Beyond there] by Emilio Pericoli. As in 1962’s ‘Come September’, 1963's romantic US movie made in location in Italy was ‘Rome adventure’ called ‘Candelabro Italiano’ in Brazil. 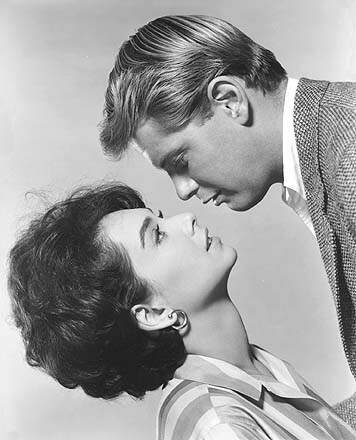 Audiences were enthralled by the two romantic couples [again], this time Angie Dickinson & Rossano Brazzi as the older couple and teen heart-throb Troy Donahue and lovely Suzanne Pleshette as the young ones. Differently from ‘Come September’, ‘Rome Adventure’ had an Italian sound-track and Emilio Pericoli’s rendition of ‘Al di là’ wowed audiences here, there [USA] and everywhere. 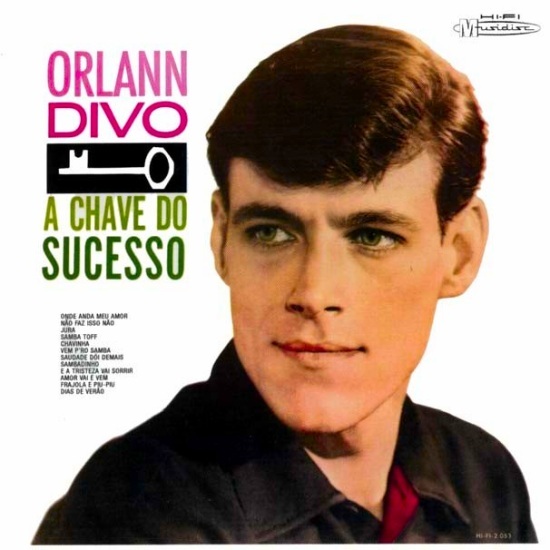 ‘Al di là’ turned out to be the first of dozens of Italian hits that took over Brazilian charts. This was called the 'Italian invasion' and lasted around five years. Nico Fidenco hit with 'Inprisoned in a grain of sand'. ‘Legata a un granello di sabbia’ [Inprisoned in a grain of sand] was 1963’s second Italian hit. 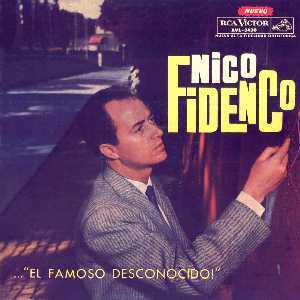 Nico Fidenco had taken it to number one in many European countries and did it in South America too. In the bossa-nova or new-samba [sambanço] category there were Jorge Ben, who would become internationally famous later and Orlan Divo, who still has an international following up to date. Jorge Ben played acoustic guitar a bit like the Bossa Nova crowd even though his harmonies were not as sophisticated. His type of music was classified as ‘Samba Esquema Novo’ – a new scheme of samba. The word ‘novo’ was there as in bossa-nova, but Jorge was something different. 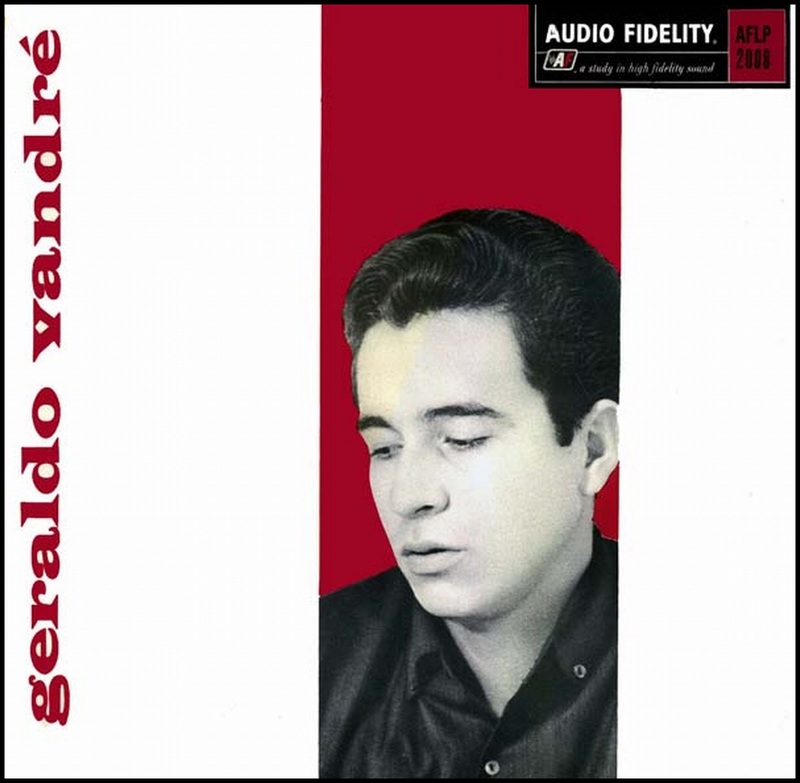 His first hit was ‘Por causa de você’ [Because of you] followed up instantly by ‘Mas que nada’, actually his was a double-sided hit. His album went to number one too. Orlann Divo, a young man from Rio too, played samba differently too. Not exactly bossa-nova but it was plain to see he was influenced by the new beat. ‘Tamanco no samba' [Samba blim, blim blau...’ was one of his hits and Sonia Delfino made Orlann Divo’s ‘Bolinha de sabão’ into a hit too. Orlann Divo played 'sambalanço' [swing-samba]. Tito Madi, who had been a regular hit maker for 10 years could be included in this quasi-bossa nova group. His ‘Balanço Zona Sul’ is 88% bossa-nova. ‘Samba em prelúdio’ is not a samba but a very slow number sung beaufifully by Ana Lucia, a bossa-nova singer who had been in the famous bossa-nova concert in New York’s Carnegie Hall in November 1962 – and Geraldo Vandré, a singer song writer who would become very famous by the end of the decade. ‘Samba em preludio’ is not a samba-canção nor a bossa-nova either but something in between. Maybe a simple song with some dissonant chords added by the genius of Banden Powell and made it more beautiful still by the words of Vinicius de Moraes. That soared to number one on the basis of its pure quality and beauty. Geraldo Vandré plus Ana Lucia hit with 'Samba em Prelúdio'. Talking about preludes... Luiz Vieira came back with ‘Prelude no. 2’ or ‘Paz do meu amor’ [Peace of my love] a ‘sequel’ to 1962’s ‘Preludio p’ra ninar gente grande’ [Prelude to lullaby grown-ups]. Vieira did it again. This is as beautiful as the former. ‘You are an immense beauty... you are tenderness’s labour ... peace of my love’. Such powerful lyrics for such a beautiful melody. 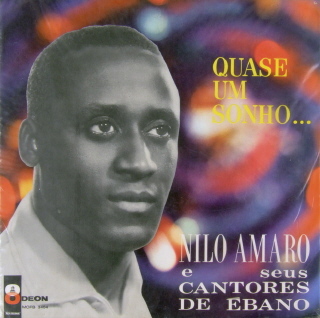 Nilo Amaro and his Black Singers did it again in 1963 with ‘Uirapurú’, about an Amazonian bird whose singing is purportedly the most beautifu in the world. This is even better than 1962’s Ebony Singers' single. Nilo Amaro, here minus His Ebony Singers - hit with 'Uirapurú'. As to traditional samba we had Alcides Gerardi hit for the last time in his career with ‘Tem bobo p’ra tudo’ [There are fools for all seasons], a funny sort of lyrics; veteran Elizeth Cardoso with ‘Na cadencia do samba’ [In samba’s cadence], a good Ataulpho Alves composition and Chantecler’s Leila Silva with ‘Não diga a ninguem’ [Don’t tell anyone]. Leila Silva had hits every year. Francisco Petrônio had his second good year hitting twice with ‘O amor mais puro’ [The purest love] written especially for Mother’s Day and ‘Romance’ a thread-of-the-mill stuff. On the same vein of boleros we had Anisio Silva hitting for the last time with ‘Quem tudo quer nada tem’ [He who want all gets nothing] and Agnaldo Rayol’s ‘Acorrentados’ [Chained] a Mexican bolero translated into Portuguese for a market that refused to die of natural causes. Bolero maybe was not king anymore but it still was a prince. Agnaldo Rayol had a big voice and good looks too. As Anisio Silva was exiting the bolero scene, young hopeful Altemar Dutra was checking in with ‘Tudo de mim’ [All of me]. 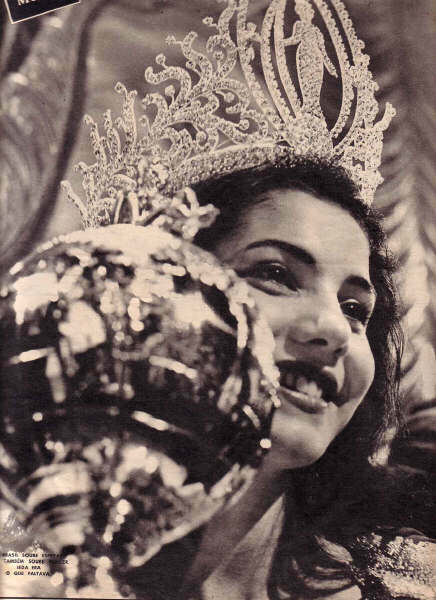 Altemar came from Minas Gerais and took the bolero-crown left by Anisio... both singers recorded for EMI’s Odeon. Altemar’s powerful and melodious voice would be heard for many years to come. As foreign acts are concerned Bert Kaempfert’s ‘Afrikan beat’ was 1963’s biggest hit. That song is so infectious that it is played up to date. Kaempfert had been a good album seller but this was his first time in the single’s charts. Lawrence Welk’s rendition of Henry Mancini’s ‘Baby elephant’s walk’ from John Wayne’s ‘Hatari’ sound-track was big. 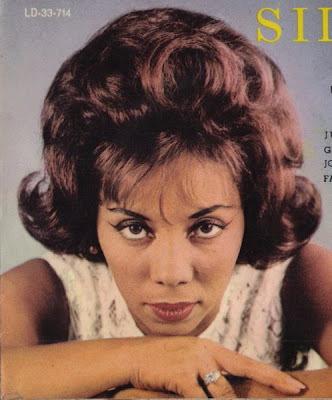 Eydie Gorme’s ‘Blame it on the Bossa Nova’ didn’t have anything to do with the real bossa-nova but it was a hit anyway. 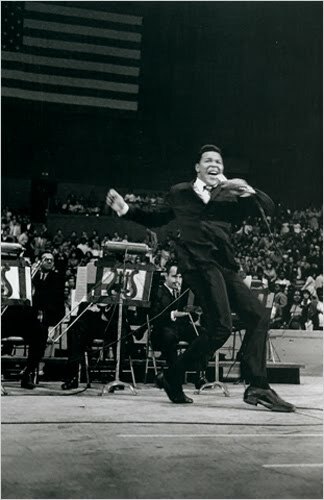 Chubby Checker hit for the last time with a ‘twisted’ version of ‘Hava Nagila’ the Jewish folk song. It seemed like the dance craze infecting the charts was in its death bed. The Rivingtons’ ‘Papa oon mow mow’ a non-sense do-wop rock US hit caught the ears of many Brazilians too. Essa lista pode ter algum erro, já que a TV Record mandou uma relação truncada dos premiados para os jornais e revistas. No "press-release" da Record havia apenas 14 contemplados, tendo eu "completado" a lista tendo por base minha lembrança pessoal de 1963. Portanto pode haver alguma discrepância aí. "Boogie do bebê", com o Tony Campello, por ex. não está na lista, mas ha uma foto do Tony segurando o troféu "Chico Viola", publicada nas revistas "Melodias" e "Intervalo". 1. Doce amargura [Ti guarderò nel cuore] [Riz Ortolani-Nino Oliviero-M. Ciorciolini; v.: Nazareno Brito] – Moacyr Franco - originally recorded for the sound-track of 'Mondo Cane'. 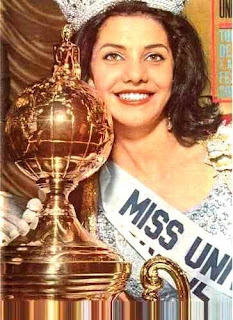 Yeda Maria Vargas, Miss Brazil and Miss Universe 1963. Miss Brazil finally makes it into Miss Universe in 1963.